Rome takes their key boot innovations and wrap them with rich, traditional materials for advanced technical performance that powers one rad looking boot. 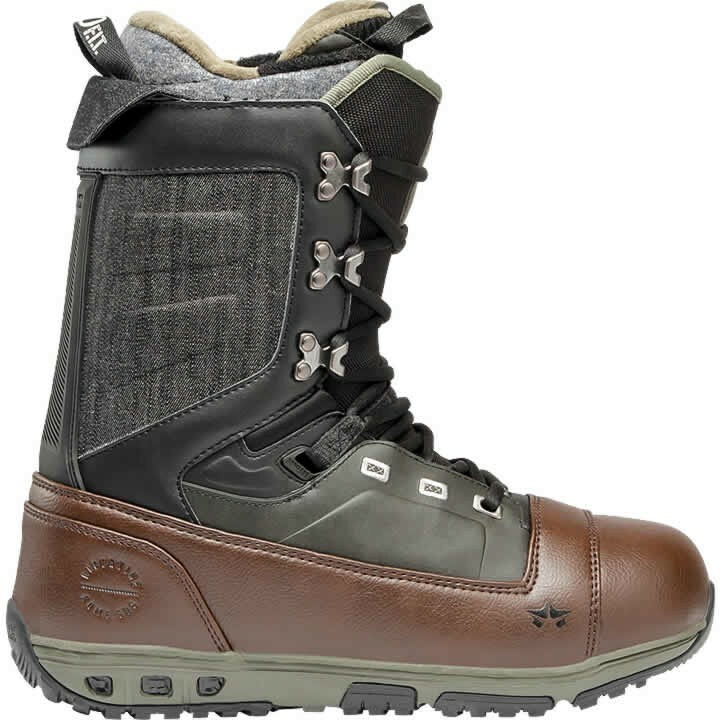 The main boot choice of the Rome team, the Libertine features a medium flex pattern for versatility to take your snowboarding wherever you want to go. Rip turns, slash pow, tweak crails or butter knuckles. Expand Toe Zone: Rome put an expandable material in the toe of their liners so it can self-adjust to the different length toes that people have. Better fit means better warmth. 3D Molded Tongue: Rome believes 100% in boots that rebound and flex with a "poppy" feel. The 3D molded EVA tongue creates a dynamic, rebounding flex toeside and side to side. The 3D design creates a "pringle" shape that stores energy and returns it when you let off the gas.